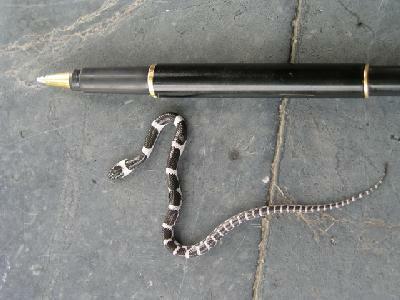 I'm not too enamored of kraits as their preferred meals are other snakes, frogs and toads. I really like the nightsnakes. They go up into the attic just for some peace and quiet and get really offended if anything disturbs them They are one of the most bite-happy snakes in the world. A rat just passing near a nightsnake often gets bit multiple times. Only mildly poisonous though. We are still inundated in frogs and toads. The human idiots have been out in the rice fields catching them for weeks. It's impossible to tell them they are slaughtering the first line of defense against the mosquitos.